Lets play! Games machines and table sports are available in the common room. 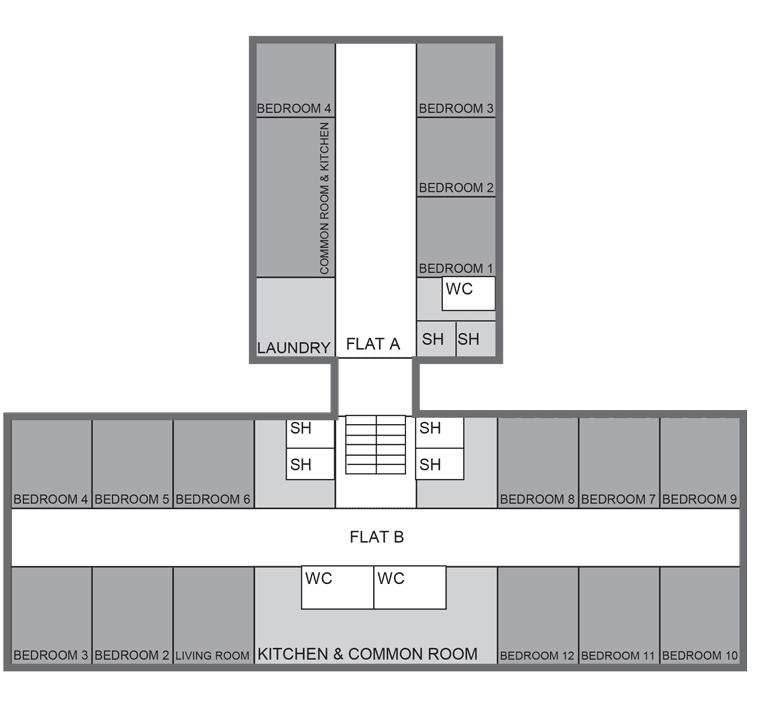 Murano Street Student Village is exclusively for University of Glasgow students and excellently located for the University and the West End with the campus being just a 20 minute stroll away. The study bedrooms are arranged in flats for 4-5 or 10-12 students, all with kitchens and bathroom facilities. Our larger flats offer students the chance to live with plenty of like minded people, with the added benefit of a kitchen weekly cleaning service. Your living space is well equipped with everything you need to get stuck in to being a full time student. The Study Zone and Distraction Zone offer students the best of both worlds, with space to work on University projects or relax and spend time with flat mates. 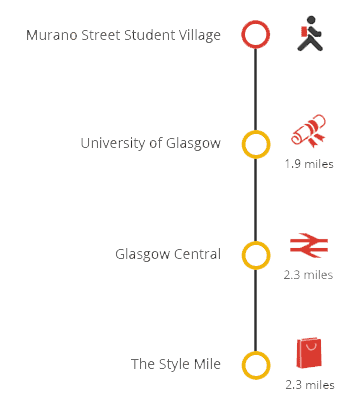 Murano Street Student Village is in a perfect location for University of Glasgow students to explore all that Glasgow has to offer. It’s within walking distance of the main university campus and on plenty of bus routes for the short trip into the city centre. There is also a great range of shops, supermarkets, restaurants and bars within walking distance, giving you all you need right on your doorstep. The Botanic Gardens and Kelvingrove Art Gallery are close by, and Loch Lomond is only a short bus ride away if you’re looking to take in some traditional Scottish culture. As well as the regular bus services, the nearby subway station offers great transport links, giving you the opportunity to explore Glasgow and take in everything the city has to offer. Murano Street flats are managed by Sanctuary Students on behalf of the University of Glasgow. The University of Glasgow accommodation office receives and processes applications for accommodation. To apply, please complete a University of Glasgow online application. Parking is available, however cars and motorbikes are parked at the owner’s risk. You will need to register your car or motorbike with reception. Please do not block the entrance to the car park. From September 2016, you’ll need a TV license to watch BBC iPlayer. Murano Street Student Village now benefits from LaundryView which will make doing your laundry on-site even easier. The system, created by Circuit, allows you to go online and check the availability of washers and dryers in your building as well as see when other washes are about to end.